Includes the names: Herbert S. Klein, Klein Herbert S.
Herbert S. Klein is a research fellow at the Hoover Institution and curator of the Latin America collection in the Hoover Institution Library and Archives. Klein received his BA in 1957 and his PhD in 1963, both from the University of Chicago. Before his appointment at Stanford, he taught at the University of Chicago and Columbia University and is Gouverneur Morris Emeritus Professor of History at Columbia University. 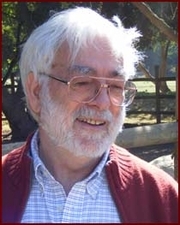 He is the author or coauthor (in several languages) of more than twenty books and 165 articles on Latin America and on comparative themes in social and economic history. The Brazilian Academy of Letters awarded its 2010 Literary Prize for History and Social Science to him for Escravismo em São Paulo e Minas Gerais (coauthored) (2010). Among his other twenty-four books are four comparative studies of slavery, the most recent of which are African Slavery in Latin America and the Caribbean (1986, 2nd revised edition, 2007), The Atlantic Slave Trade (1999, 2nd revised edition, 2010), Slavery and the Economy of São Paulo, 1750–1850 (coauthored) (2003), and Slavery in Brazil (coauthored) (2011). Klein also wrote four books on Bolivian history, the latest of which is A Concise History of Bolivia (2003, 2nd ed revised 2011). He has also published The American Finances of the Spanish Empire, 1680–1809 (1998), A Population History of the United States (2004, 2nd revised edition, 2012), and Brazil since 1980 (coauthored) (2006) and Hispanics in the United States, 1980–2005 (coauthored) (2010). His long-term interests are comparative economic and social history. He is currently researching twentieth-century social change in Latin America and the United States. Herbert S. Klein is currently considered a "single author." If one or more works are by a distinct, homonymous authors, go ahead and split the author. Herbert S. Klein is composed of 3 names. You can examine and separate out names.